Today the British Library opened a new service, digitalised newspapers from 1800 to 1900. These are now accessible on the web. I took the opportunity to see if there was anything about the Anerley Bicycle Club. And yes there is! 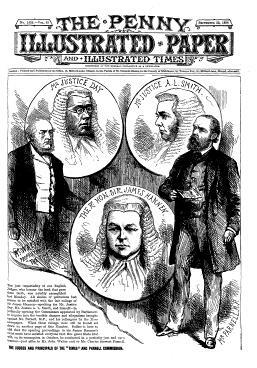 Twenty six references in all, one of which, in the The Penny Illustrated Paper dated Saturday 22 September 1888, you can see below. The item, unfortunately not illustrated, is about one of our earliest members. It briefly makes mention of an epic ride by Alfred Nixon, who is mentioned by name in our club history notes. The news item informs readers that Alf set off from Edinburgh at noon on a Thursday (which I worked out to be 13th September 1888), and arrived at Barnet on Saturday at 6 o’clock in the the evening. That is a ride of two and a quarter days. Not bad going on the primative roads of that time. This was long before tarmac evened out the ruts, bumps and pot holes made by horse and carts and coach and horses! Most of the other references to the Anerley Bicycle Club appear to be items relating to cycle races, either ones that our club organised, or ones in which our members featured in the race results. So here for posterity is Alf Nixon and perhaps the first recorded ride by a cyclist from Edinburgh to Barnet. I am still scratching my head to know why someone would want to ride from Edinburgh to Barnet! Was his intended destination, London? Was this a failed attempt at setting an Edinburgh/London cycle record? Perhaps Barnet was the limit of his physical endurance. Or perhaps he had reached his pain threshhold, saddle sore from hours of pounding by rutted road. Or was it mechanical? Perhaps a broken chain, a buckled wheel, or some other mishap? It could not have been a puncture because solid tyres were then the norm! My feeling is that Alf Nixon was indeed attempting to set a record between these two capital cities. 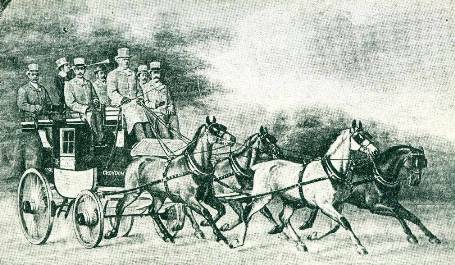 It was only 2 months previously to the day, on 13 July 1888, that the famous coachman, Jim Selby, had set an historic record. On that day he had won a 1,000 guinea wager by driving the “Old Times”, a coach and four, from London to Brighton and then back to London, in under 8 hours. This record setting event captured the public’s imagination, especially the imagination of cyclists, who then set out to beat Selby’s record setting time of 10 minutes under 8 hours. It was however not until the summer of 1889 that, aided by gears and the newly introduced Dunlop pneumatic tyres, the record was eclipsed by a solo bicycle rider. This record lasted only a month before being beaten by S.F. Edge, another member of the Anerley Bicycle Club, who reduced the time to just over 7 hours. So perhaps Alf Nixon had been inspired by the coaching record along the Brighton road and was himself attempting to get into the record books. I am sure that more details about his bike and his ride, would have added colour and background to an historic era in the annals of cycling. It would then have been of much greater interest to cyclists in the 21st century.